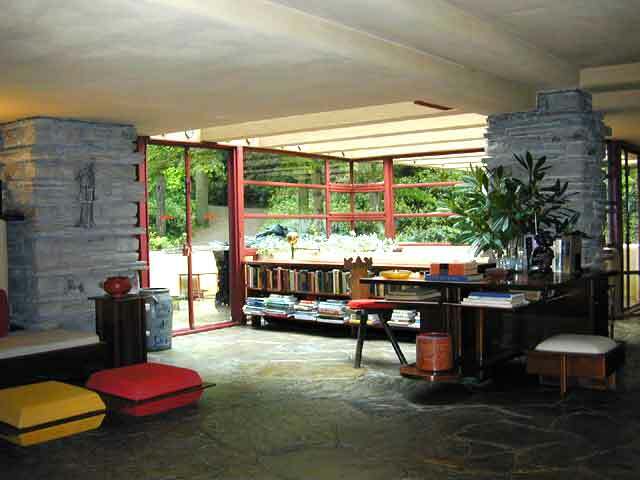 This weekend home for the Kaufmanns, a department store family, was designed by Frank Lloyd Wright in 1935. The location is southeast of Pittsburgh, PA. This is a multilevel house with separate guest house and servants quarters. It is located in a heavily wooded area where it blends in so well that it just seems to belong there. Wright had been commissioned by Kaufmann but had not had time to work on the design when Kaufmann called to say that he would be by to take a look at what Wright had come up with. Wright came up with the design and sketches in just a few days and was able to present the ideas to Kaufmann when he arrived. Built on the side of a hill, the home cascades down the bank of a creek and terminates its flow suspended over a small water fall. 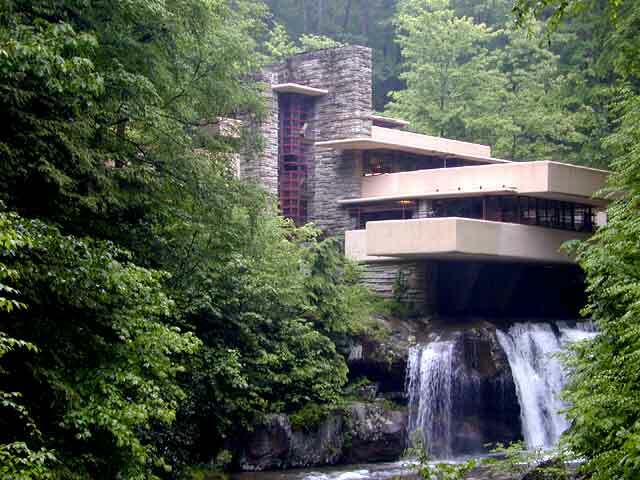 Wright made use of the cantilever when he designed this structure. 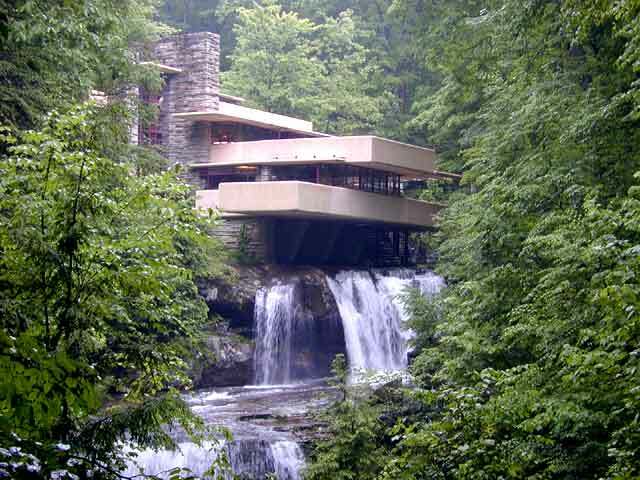 However, after construction, parts of the cantilevered sections began to sag and have since had to be braced by the conservancy group which now maintains and shows Fallingwater. 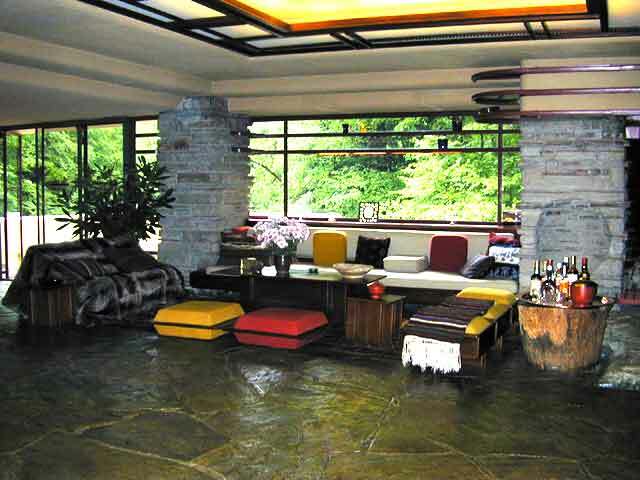 The "Great Room" as we know it today was very unique in 1935 when Fallingwater was built. The pictures below show the great room which is located on the first level of the house. The ordering of the pictures is clockwise, starting just inside the entryway. The table, normally set to accommodate five, is expandable to seat 18-20. 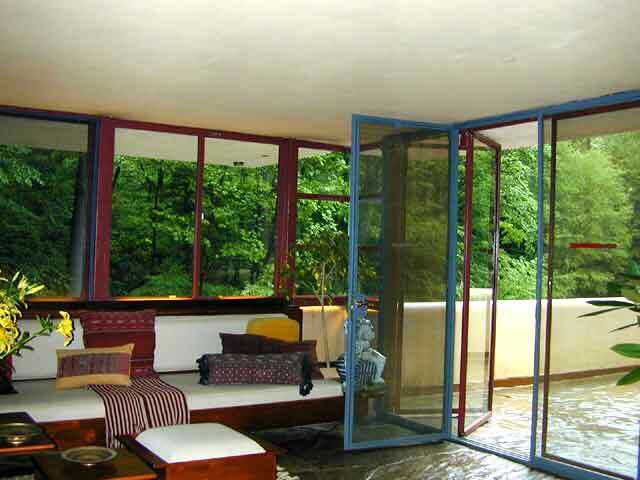 Wright used what he called cornerless windows where the glass meets in the corners without having any supports. 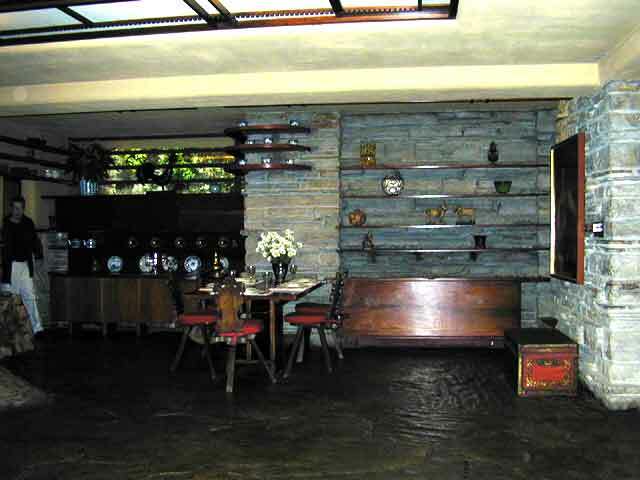 He also liked to use built-in furniture so his clients could not change his designs by rearranging the furniture. This shows more of the cornerless window concept, where the windows can open out to give an unobstructed view of the outside. 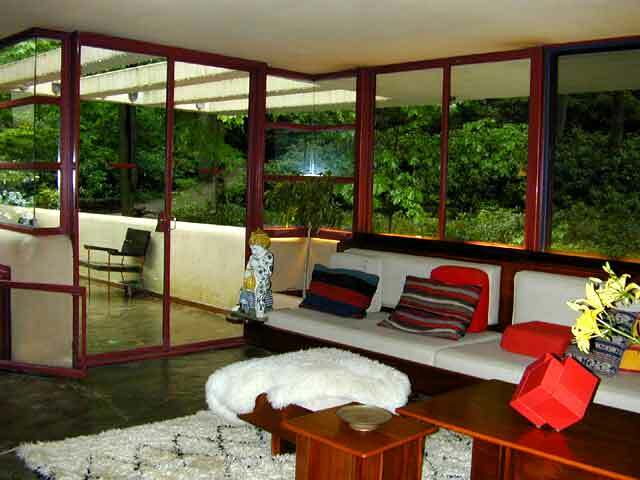 The picture of the outside of the house shows these same open windows to give an idea of their location. All of the screens were added after construction was completed. 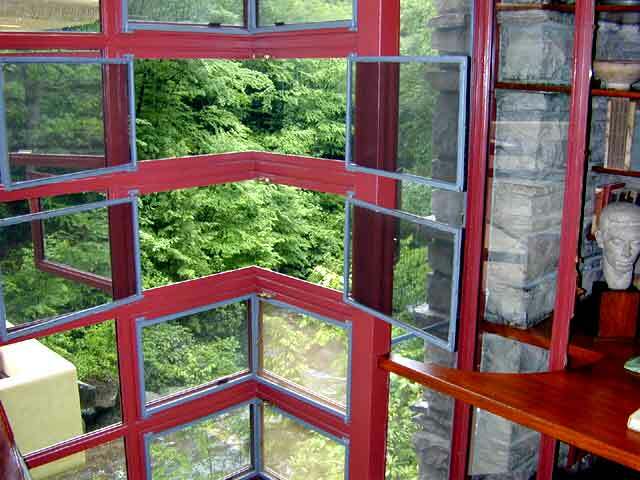 Frank Lloyd Wright did not believe in using screens. He felt they were a curtain that interrupted the flow of feeling between the house and the outside. However, Mrs. Kaufmann said that she didn't have to live with the bugs and that she would have screens - period!